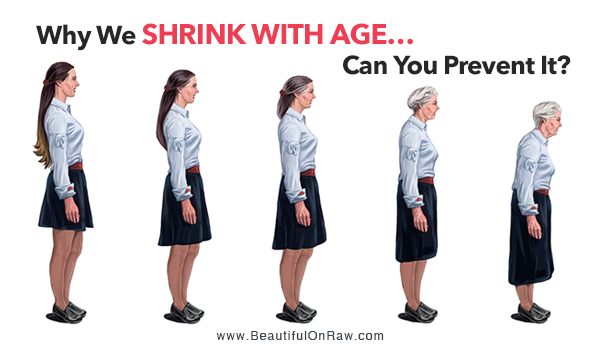 Why do we shrink with age? “We,” of course, never do. It always happens to those little old ladies we see—it’ll never happen to us. But it already is. Often, we’re asked to give out our height. In filling out forms, for example. “Five-ten,” says a man, with confidence. “Five-foot-five” says his wife. But are those real and recent figures? Or just what we’ve been saying for years? 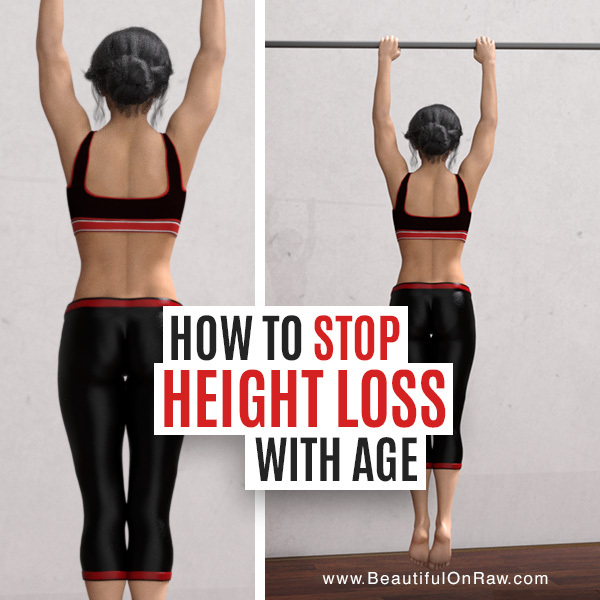 Likely, the number you’re giving is no longer your true height. Our hearing, vision, hair, and memory are some of the things we start losing as we age. Our organs in general shrink with age. For example, in only the decade between ages 30 and 40, we typically lose 20% of our vital lung capacity. By age 50, we’ve lost almost 40%. Similarly, your heart changes shape, shrinks, and loses a good measure of its pumping function as it ages. All four basic tissue types—connective, epithelial (skin and the linings of the passages inside the body), muscle, and nerve—begin to shrink. Continue reading here. A man I once saw at the gym, well into his eighties, had an unusually straight back. Perhaps I was staring. I summoned the courage to ask him directly how he came by such good posture. Clearly, he’d often been asked before. His quick answer: He did a passive hang on a pull-up bar every day for five minutes. Special Deal: 2 Gentle Facial Cleansers for You and Your Mom! My answer: This isn’t a simple issue. Cleansers can be oil-based or water-based. If you’re using an oil-based cleanser, or just plain oil, you’ve nothing to fret about at all. But suppose you’ve bought a water-based cleanser. You should in that case be very concerned if you don’t see a preservative listed on the label. You can be sure the company is using a preservative—they just don’t want you to know what it is. We’ve just received a new batch of our Gentle Facial Cleanser. I abhor preservatives as much as my correspondent. So I’ve chosen the Ecocert organically-certified preservative. My formulation of Gentle Facial Cleanser uses the very latest in what cosmetic chemists can offer. It’s gentle on your skin, and a real help in keeping your skin youthful. I eat very healthy. Why do I feel tired? Are supplements and vitamins actually harmful?